Click on the headings below to see the pictures. All prices on this website are up to date. Inevitably, prices and availability may change over time. All prices include VAT. 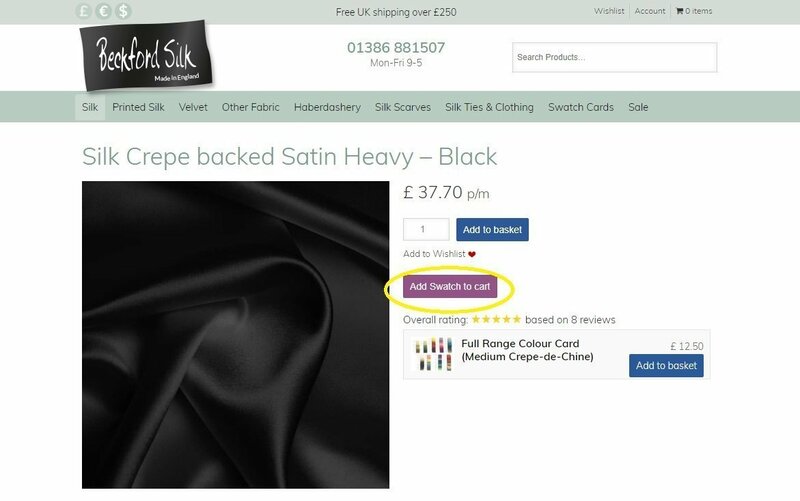 Silk is a natural fabric and occasionally one finds a small weaving fault or slub. We will normally ‘tag’ these with masking tape on the selvedge and then add enough cloth so that the customer will not be short. If cloth is to be returned to us it can only be refunded if returned within 14 days of purchase and uncut. 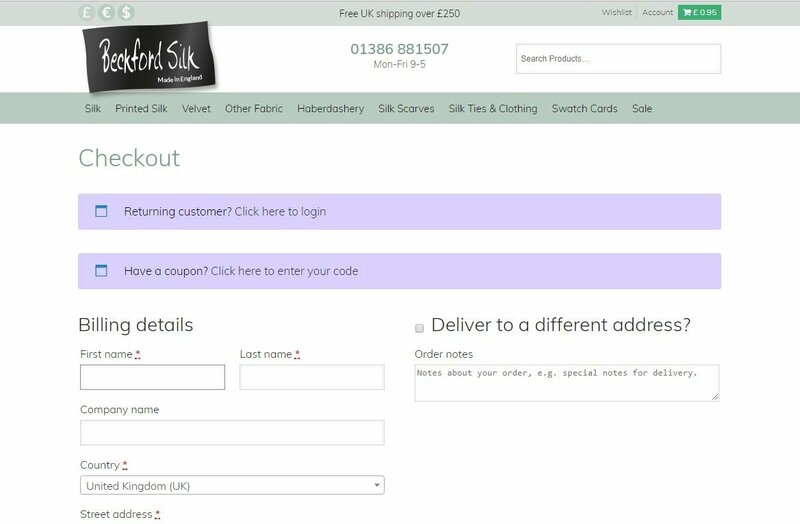 Beckford Silk ltd (“beckfordsilk.co.uk”) owns and operate this Website. This document governs your relationship with Beckford Silk ltd (“beckfordsilk.co.uk”). Access to and use of this Website and the products and services available through this Website (collectively, the “Services”) are subject to the following terms, conditions and notices (the “Terms of Service”). By using the Services, you are agreeing to all of the Terms of Service, as may be updated by us from time to time. You should check this page regularly to take notice of any changes we may have made to the Terms of Service. You must not misuse this Website. You will not: commit or encourage a criminal offense; transmit or distribute a virus, trojan, worm, logic bomb or any other material which is malicious, technologically harmful, in breach of confidence or in any way offensive or obscene; hack into any aspect of the Service; corrupt data; cause annoyance to other users; infringe upon the rights of any other person’s proprietary rights; send any unsolicited advertising or promotional material, commonly referred to as “spam”; or attempt to affect the performance or functionality of any computer facilities of or accessed through this Website. Breaching this provision would constitute a criminal offense and Beckford Silk ltd will report any such breach to the relevant law enforcement authorities and disclose your identity to them. 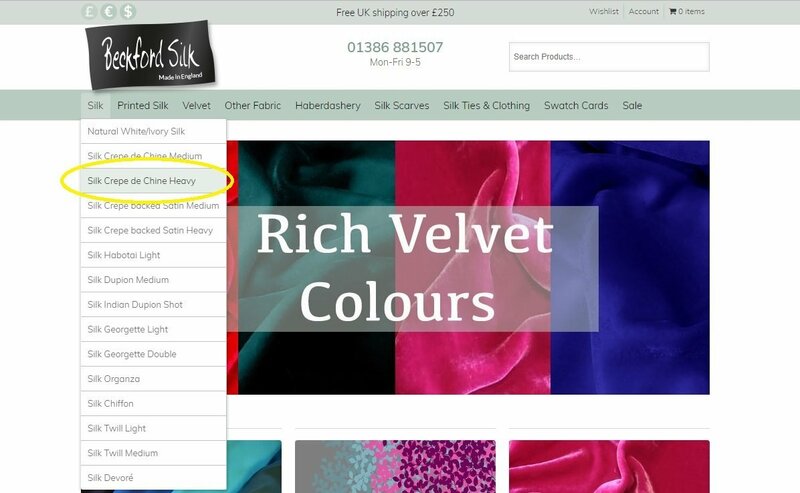 The intellectual property rights in all software and content (including photographic images) made available to you on or through this Website remains the property of Beckford Silk ltd or its licensors and are protected by copyright laws and treaties around the world. All such rights are reserved by Beckford Silk ltd and its licensors. You may store, print and display the content supplied solely for your own personal use. You are not permitted to publish, manipulate, distribute or otherwise reproduce, in any format, any of the content or copies of the content supplied to you or which appears on this Website nor may you use any such content in connection with any business or commercial enterprise. In order to contract with Beckford Silk ltd you must be over 18 years of age and possess a valid credit or debit card issued by a bank acceptable to us. Beckford Silk ltd retains the right to refuse any request made by you. If your order is accepted we will inform you by email and we will confirm the identity of the party which you have contracted with. This will usually be Beckford Silk ltd or may in some cases be a third party. 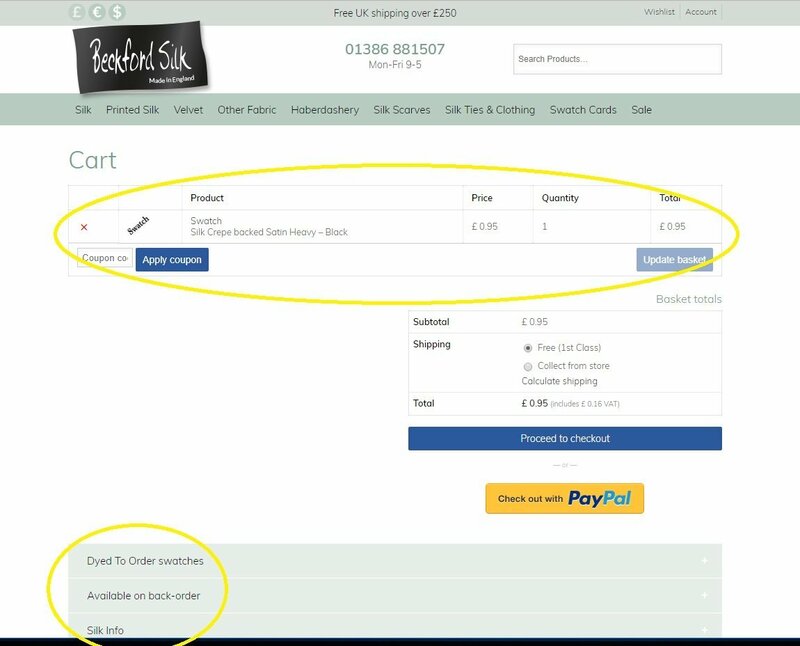 Where a contract is made with a third party Beckford Silk ltd is not acting as either agent or principal and the contract is made between yourself and that third party and will be subject to the terms of sale which they supply you. 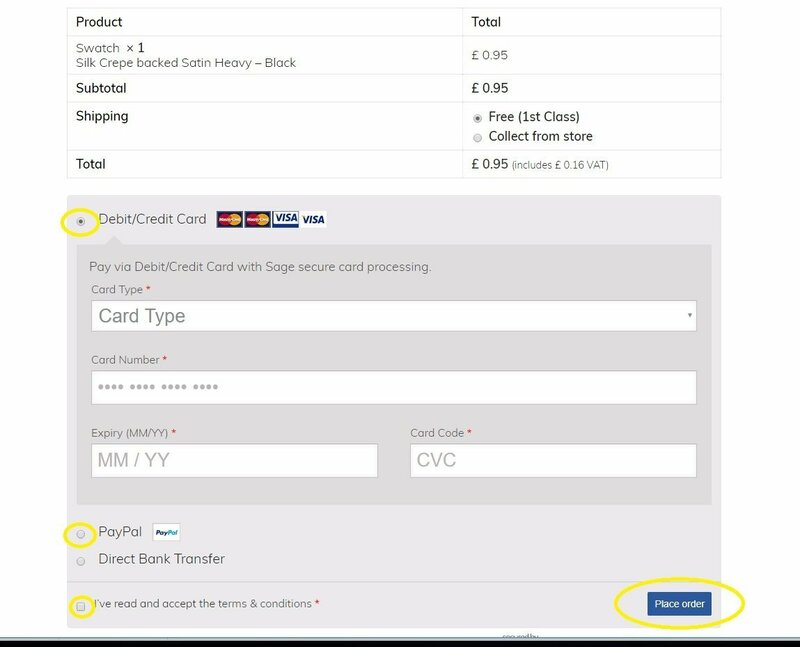 When placing an order you undertake that all details you provide to us are true and accurate, that you are an authorized user of the credit or debit card used to place your order and that there are sufficient funds to cover the cost of the goods. The cost of foreign products and services may fluctuate. All prices advertised are subject to such changes. 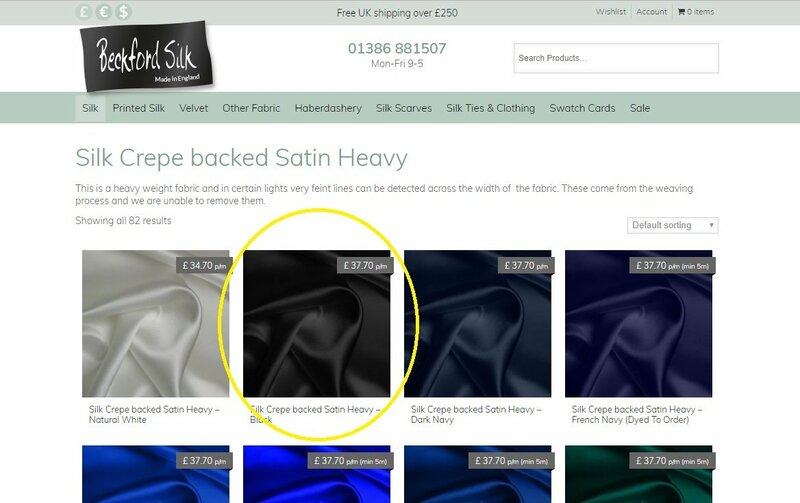 Silk is a natural fabric and occasionally one finds a small weaving fault or slub. We will normally ‘tag’ these with masking tape on the selvedge and then add enough cloth so that the customer will not be short. 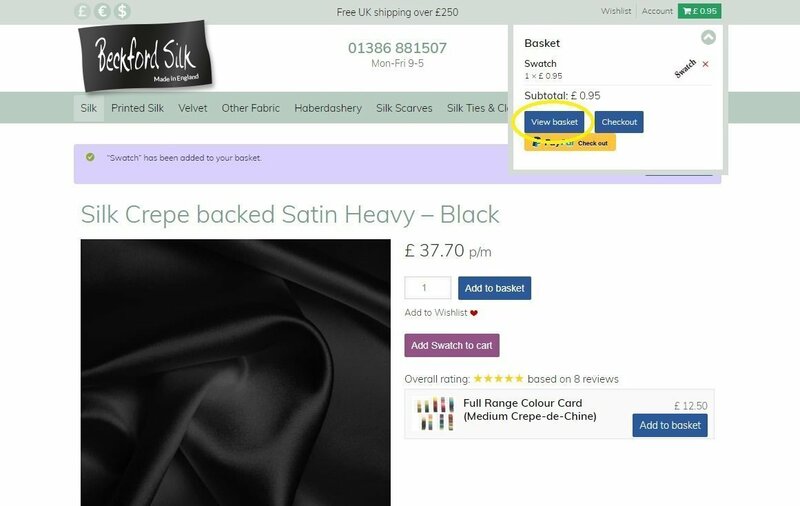 If you have ordered a (Dyed to Order) fabric, please allow up to 2 weeks for us to dye it. Please note that fabric which has been cut to a particular length (under 5 metres) for a customer cannot be refunded. For this reason, we strongly recommend that you order Swatch’s before making your purchase. Other purchases can be returned for a refund within 14 days of the day on which the goods were received. Goods should be returned in the good condition in which they arrived. Delivery charges will not be refunded, unless goods are found to be faulty or damaged. 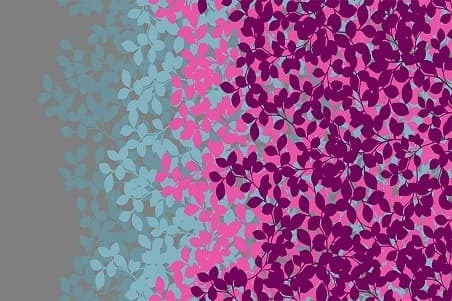 Although we aim to have consistent colour’s to our colour palate. Variation will occur between dying’s and weaves. Within commercial match tolerance, we reserve the right to refuse refund if we deem the colour to be of an acceptable match. Please be advised we will not refund for colour variation in any circumstance if a swatch has not first been ordered. The material displayed on this Website is provided without any guarantees, conditions or warranties as to its accuracy. Unless expressly stated to the contrary to the fullest extent permitted by law Beckford Silk ltd and its suppliers, content providers and advertisers hereby expressly exclude all conditions, warranties and other terms which might otherwise be implied by statute, common law or the law of equity and shall not be liable for any damages whatsoever, including but without limitation to any direct, indirect, special, consequential, punitive or incidental damages, or damages for loss of use, profits, data or other intangibles, damage to goodwill or reputation, or the cost of procurement of substitute goods and services, arising out of or related to the use, inability to use, performance or failures of this Website or the Linked Sites and any materials posted thereon, irrespective of whether such damages were foreseeable or arise in contract, tort, equity, restitution, by statute, at common law or otherwise. This does not affect Beckford Silk ltd’s liability for death or personal injury arising from its negligence, fraudulent misrepresentation, misrepresentation as to a fundamental matter or any other liability which cannot be excluded or limited under applicable law. Except where expressly stated to the contrary all persons (including their names and images), third party trade marks and content, services and/or locations featured on this Website are in no way associated, linked or affiliated with Beckford Silk ltd and you should not rely on the existence of such a connection or affiliation. Any trade marks/names featured on this Website are owned by the respective trade mark owners. Where a trade mark or brand name is referred to it is used solely to describe or identify the products and services and is in no way an assertion that such products or services are endorsed by or connected to Beckford Silk ltd.
You agree to indemnify, defend and hold harmless Beckford Silk ltd, its directors, officers, employees, consultants, agents, and affiliates, from any and all third party claims, liability, damages and/or costs (including, but not limited to, legal fees) arising from your use this Website or your breach of the Terms of Service. 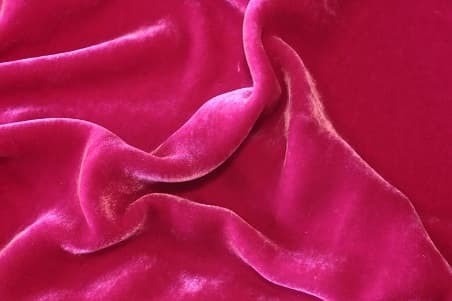 Beckford Silk ltd shall have the right in its absolute discretion at any time and without notice to amend, remove or vary the Services and/or any page of this Website. 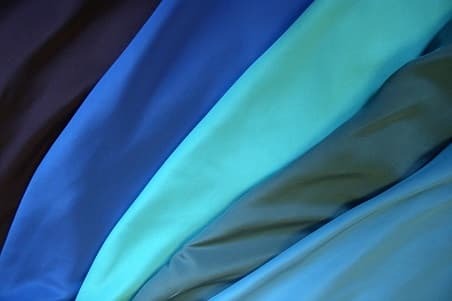 The above Terms of Service constitute the entire agreement of the parties and supersede any and all preceding and contemporaneous agreements between you and Beckford Silk ltd. Any waiver of any provision of the Terms of Service will be effective only if in writing and signed by a Director of Beckford Silk ltd.